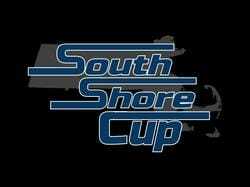 The South Shore cup is a tournament series taking place across a number of weekends in the summer of 2018. The South Shore Cup will consist of a number of tournaments across the South Shore. Along with prizes at each event, there will be points awarded for the top finishers to carry over all summer and eventually crown someone South Shore Cup Champion.... Could it be you? To sign up simply follow the steps to register on each events page. Up to date scoring on the South Shore Cup can be found here. The South Shore Cup Champion receives the South Shore Cup, along with free entry to all South Shore Cup Events for the following year. The innagural year in 2017 gave us many classic finishes and great venues. From the record low rounds at the Hartsuff Park Open, to the incredible finish on the 18th green in the Rocklan Disc Golf Classic. Who could forget the THREE way playoff in the South Shore Disc Golf Open? Or the historic first playthrough of the new Veterans Memorial Disc Golf Course? How about the absolute dog fight coming down the stretch in the Tour Championship? These memories, and many more, will be made and amplified in 2018. Are you in?